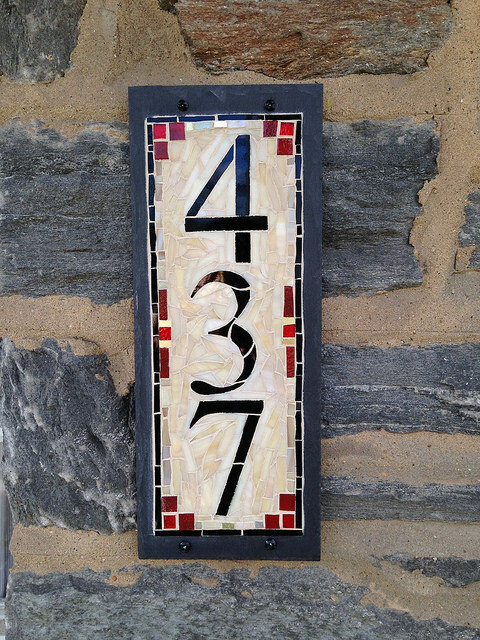 This client wanted house numbers that harmonized with the stonework of her Philadelphia area home, with accents to pick up on the red of her door. Our clients tend to have a strong door color game! Although we have a list of Colorways that are favorites with clients, we are glad to work with you to develop a new color profile. 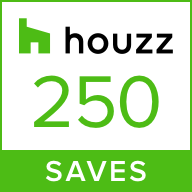 We can also tweak to the accent colors, or be directly inspired by your house when you send us a photo. The client is a quilter, and had a strong design sense. We went with black numbers, drawing on the black of the ironwork railings. She wanted a sandy cream background with light colored grout, and earthy red accents. There is an appealing crispness to the contrast of black numbers on a pale background. 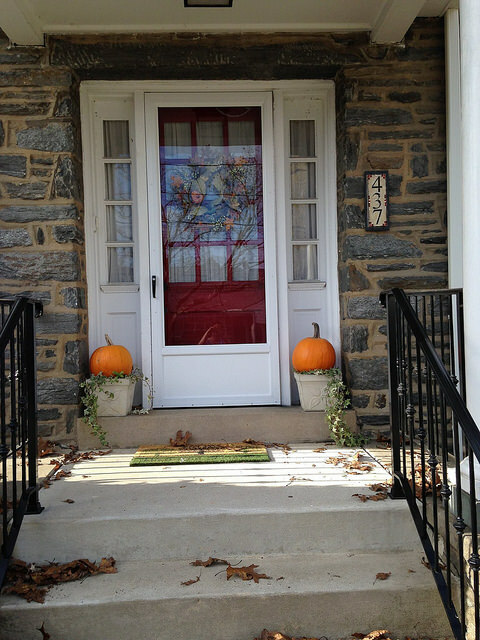 The red accents were just enough color to reference the door, but maintain the elegance of a classic stone house. The glass mosaic sign measures 6x15 inches, on Pennsylvania slate.